D'Angelo Russell wasn’t thinking clearly, or maybe he was just trying to get Twitter engaged. 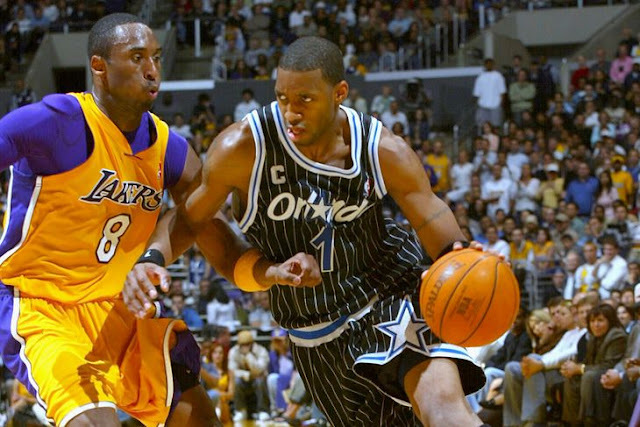 Either way, the Kobe Bryant stans were out in full force after the Lakers rookie and Bryant’s new teammate insinuated that Tracy McGrady could be the greatest basketball player of all time. Let's hope your judgement is better on the court, bud. RT @Dloading: Honestly Tracy McGrady might have been the GOAT! Young D’Angelo may need a timeout.